Whether you’re publishing a consumer magazine or a business report, the iPad is a naturally engaging showcase for your content. With mag+, designing an app for the iPad is easy. Our built-in interactivity and easy-to-use tools let you deliver stunning content to your tablet app, quickly and efficiently. 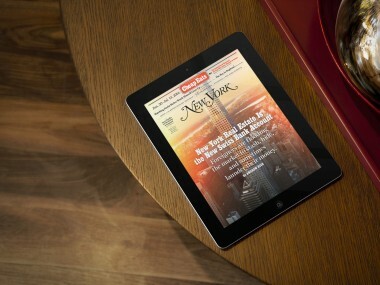 New York Magazine’s app takes advantage of the latest iPad technology. Not only can users read the content; they can actually interact with several features. They can also jump back and forth from this interactive magazine content to fresh daily content from the website.